Like it not, the Singapore government needs to change its immigration rules. For the third year running the single issue that vexed respondents to our Singapore maritime survey the most was in the field of human capital. Despite some measures by government, the city-state clearly appears to be talent tight – and not cheap either. Pankaj Khanna, the CEO of dry bulk owner Pioneer Marine, bemoans the fact that salaries in some cases are now higher than London. “The local labour market is almost at 100% employment,” he warns, calling like many others in our poll to 250 people for easier rules on immigration so expatriates can see a path to citizenship or permanent residency. “This will attract talent,” he insists. Quite so, concurs Captain Ashok Sabnis, the founder of Goodwood Ship Management. So many respondents urged the government to review the work permit issue again. Other suggestions included this from Edna Lim from C&C Technologies who said the government should provide better schemes to encourage business to send their staff for training. So what do the professional recruiters make of the local market? By and large, the four maritime HR experts we contacted for this report concur the market is indeed very tight, but activity remains fevered in what is by many recent polls the world’s brightest international maritime centre. Matt Conway, managing director of Faststream’s Singapore operations, highlights the squeezed nature of the available workforce. “Securing good local talent with the right career motivations is of a premium,” he says. For expatriates, Conway explains it is becoming increasingly difficult to attract the best talent to Singapore due to the high cost of living and the fact that most companies no longer offer the traditional expatriate package including housing and schooling allowances. “If you consider that private schooling in Singapore is amongst the most expensive in the world, this can in many cases essentially rule out the possibility for expats with children which clearly further narrows an already very finite talent pool,” Conway points out. According to Jason Tay, managing director of Singapore’s Direct Search Asia, 2015 recruitment activities continue to be busy for the shipping and commodity sectors, but the same cannot be said for the maritime and oil and gas sectors specifically with shipbuilders, OEMs and offshore drilling and production asset owners, as the market continues to be affected by the sluggish oil price. “With more mergers and acquisitions happening in the market, employees working for these companies feel less confident with the business, hence triggering interest to look out for better opportunities. With this in mind, the majority of hiring activities in 2015 are related to filling existing vacancies,” Tay says. 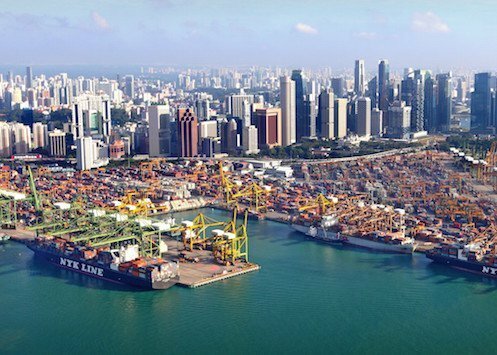 The government decision since 2012 to promote locals in favour of foreigners is hurting maritime employment, with Tay reporting there simply is not enough local talent to match Singapore’s broadening maritime hub status. “It is very unlikely that the creation of new blood – locals – will catch up with the demand for talent in the industry, at least for the next few years,” Tay says. Phil Parry, chairman of recruitment firm Spinnaker Global, admits of the local HR scene: “High staff turnover and difficulties recruiting have become a perennial complaint.” He notes how the industry has been honing in on ever more specialist skills meaning that candidate supply is tight. “When a good one floats by, lassoo them quickly,” Parry stresses. Given the paucity of local seafarers, Parry has a specific urgent recommendation, telling Splash that the government would be well advised to identify the shipmanagement function as a shortage occupation in need of relaxation of work permit rules. Parry observes that Singapore is in the same boat as any developed country where its people have many opportunities other than shipping competing for their attention. McGuire says clients are still focusing on technical and commercial positions, something our survey also backed up. As it stands it seems come next year’s Splash survey, recruitment will remain the number one issue for the local shipping industry. This article first appeared in the recently published Singapore Market Report 2015, published by Splash. Readers can access the full magazine for free by clicking here. In Manila last week for the Crew Connect conference, lots of discussion about how Manila and the Philippines has an opportunity to build on its maritime cluster. Infrastructure has to improve for that to happen but the relatively low cost base when compared to Hong Kong and Singapore, an educated work force and proficiency in English means there is a platform from which they can build.